We had a surprise visit from the Air Ambulance today. It landed on the school field at 10:30am. 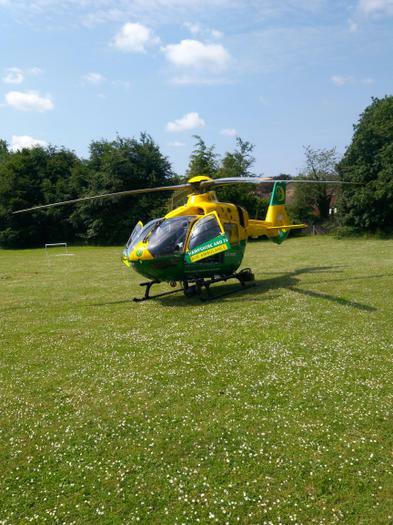 The helicopter was called to urgently attend a patient in Wooteys Way. The patient was not required to be moved by the helicopter and was eventually transferred to Basingstoke hospital via an ambulance. We hope sincerely that the person concerned makes a full recovery. 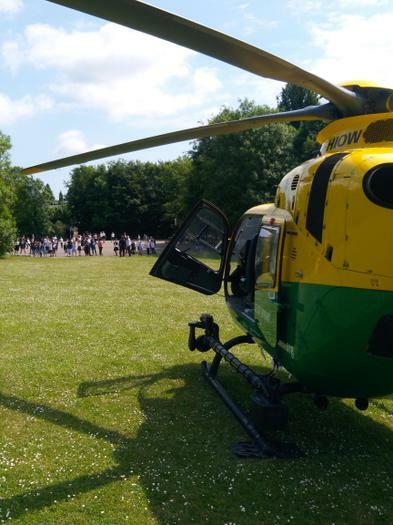 The children took a break from their learning to wave goodbye to our visitors on the school field and to see the unusual sight of a helicopter take off.